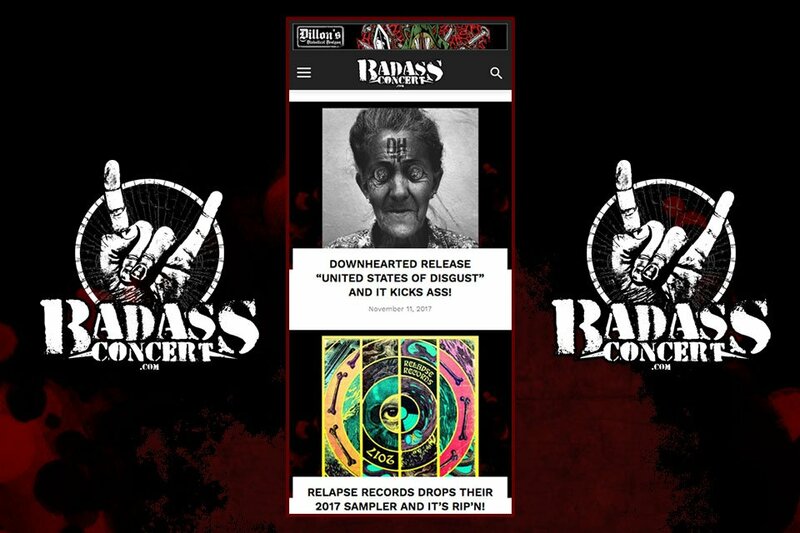 Websites Gone Mobile | Badass Concert | Heavy Metal Music News | So METAL, we piss RUST! If that cheesy title don’t getcha going, nothing will. That’s right the site has gone mobile. It has been tested and should be good to go. However lets consider this a “beta” version. The website and its music players should perform well on iOS and android powered phones. Depending on where you live, shoot us some feedback on how this website is performing. Together we will work out the bugs. We have streaming radio in the works. Just have to work out a few issues with servers and computers. You gotta love computers! Is there an “app” in the future you ask? Quite possibly, we’ll keep you posted. Badass Concert is also on facebook, twitter, youtube and reverbnation as well. So like us or whatever on your favorite social network. Previous articlePrimal Waters is Streaming NOW and it frick’n ROCKS! Next articleBy The Thousands’ new track “Wrath”!